Bounce 'em! Roll 'em! Throw 'em! 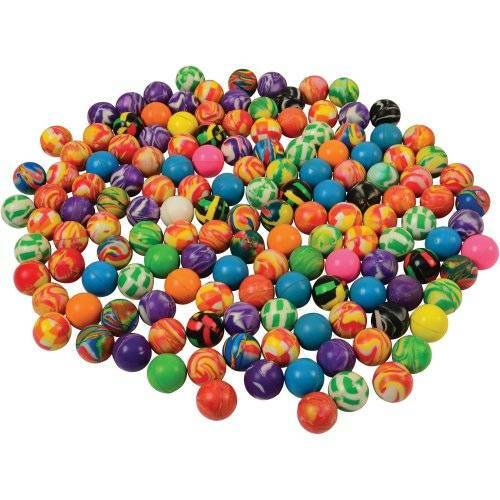 Hours of exciting play is built into this assortment of 27 mm bouncy balls! 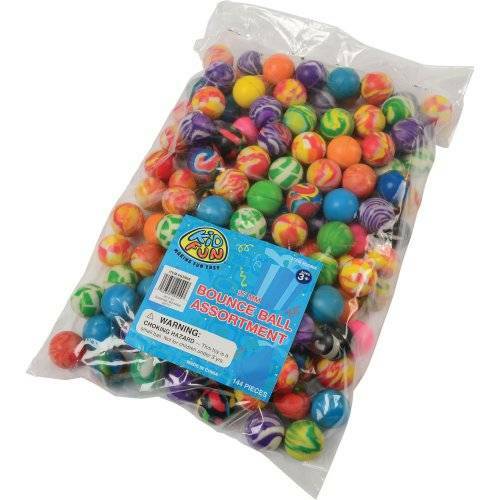 Great for parties, this assortment includes a variety of designs and colors of the classic toy, so there's something entertaining for every party guest!